I’m pretty good at knitting without seams … if I can keep my project in the round! 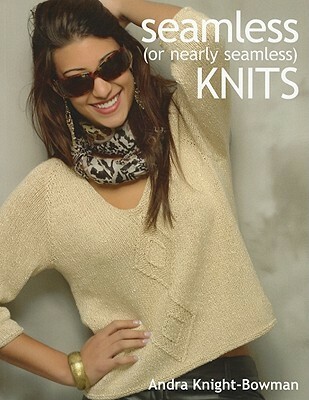 Sarah E. White at about.com reviews Andra Knight-Bowman’s book Seamless (or Nearly Seamless) Knits after the jump! The finishing that is required of knitting sweaters in pieces is something that I think keeps a lot of people from wanting to knit sweaters. They’re large projects to start with and when you add all that sewing at the end it’s a little disheartening (especially when you don’t have experience and don’t realize that it is, in fact, relatively easy to do).